Yesterday morning, I stepped over the US border into Canada after having hiked a continuous path over the mountains from the US/Mexican border. It has been a dream of mine to hike this trail for the past 4 years and I am so happy that I have now successfully completed this goal. It was a much more stressful and difficult journey than I could have imagined, but I feel happy and at peace right now. Thank you to everyone who offered me support along this journey! I will begin writing about some of the things that happened along the way and what I learned when I return home and get Internet connection again. (Washington has been quite remote… We didn’t have any cell service for the past 300 miles). 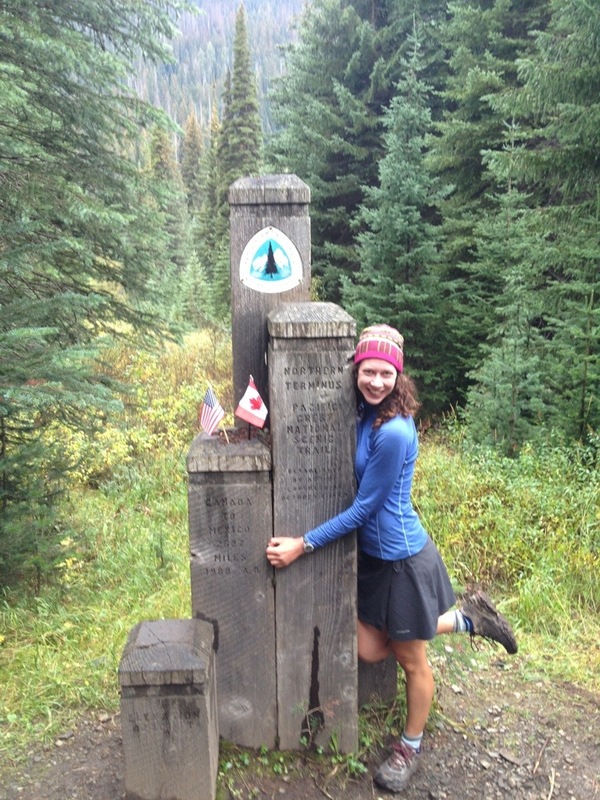 This entry was posted in Uncategorized and tagged Pacific Crest Trail, PCT 2013 blog, PCT finish by Wendy. Bookmark the permalink. Congrats! I was pulling for you! Congratulations Wendy! Another huge accomplishment. I knew you would finish. Congratulations. It seems like just the other day you finished the AT. I have really enjoyed following your PCT adventure. Best of luck going forward. I think this is an incredible journey. The writing is mesmerizing. I think the entire journal with the photos would make a great book. Thanks for sharing. We need more of this in our lives.